I know that "cool dry place" is pretty much the standard advice regarding storage of ammunition, but I was wondering about any experience out there with keeping loaded ammunition in uninsulated spaces with no heat or A/C. My available storage here in Florida is significantly tighter than up north, mainly because there are no basements here. 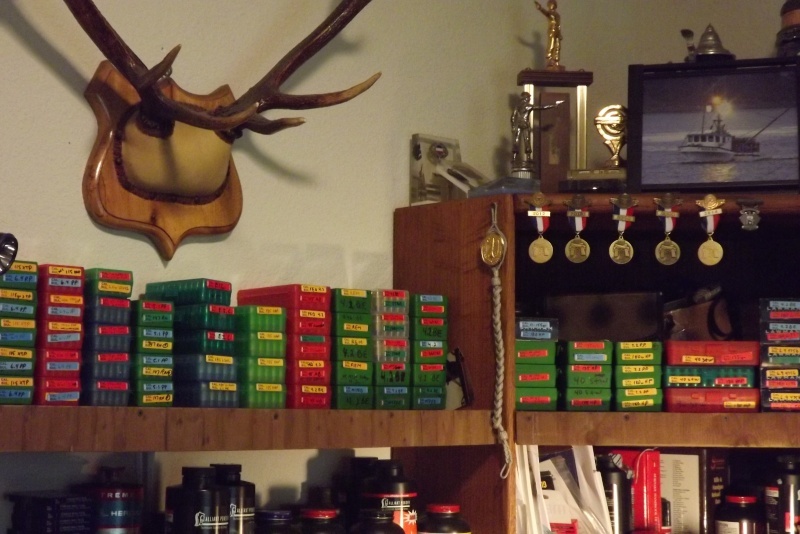 I do my reloading in my outdoor shed but I store my powders and primers indoors long term. What about loaded ammunition? buy some surplus army ammo boxes, air and water tight, add some moisture adsorbing packs for any condensation and forget it. 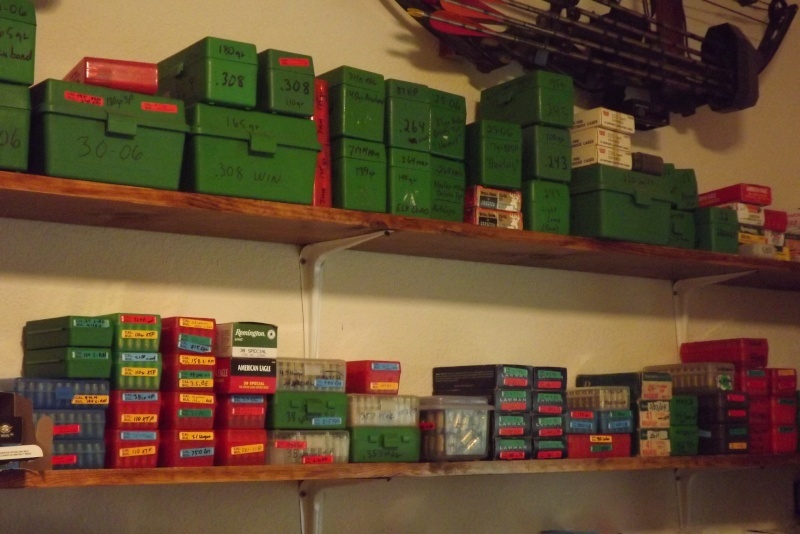 I've stored my ammo in military ammo cans for years. Some of the ammo I buy in bulk is still in the cardboard box that it came in. They are stacked in my garage. Here in Virginia, my garage see's temps from 15 to 110 degrees. No problem. Thanks. I do keep my loaded stuff, and my 22s, in GI cans. Hadn't thought of adding a desiccant. Good idea. John McCormick wrote: Thanks. I do keep my loaded stuff, and my 22s, in GI cans. Hadn't thought of adding a desiccant. Good idea. I bought a bulk 5lb can of desiccant and put it in paper coffee filters, tyvek works too, either glue or staple them shut. Works great! You all are only addressing moisture. Temperature fluctuations have a deleterious effect on ammunition, both center fire and rim fire. Ammunition using certain powders, such as CLAYS, are well documented as to the negative impact heat exposure has on pressure. Store them in your home. spursnguns wrote: I don't know, gentlemen. the OP lives in FL, doubt he has very much extreme fluctuations, for others that do I would seek a place that is climate controlled. Or, you could commandeer the guest room (who needs guests) and build a bunch of shelves. I suppose that would have its limitations. But you could build more shelves.